Since 2006, CLAIR has been implementing this project alongside the Ministry of Internal Affairs and Communications (MIC). It aims to award local governments that are engaged in exemplary international exchange efforts and lead to further exchange of ideas between local governments and improved international exchange. 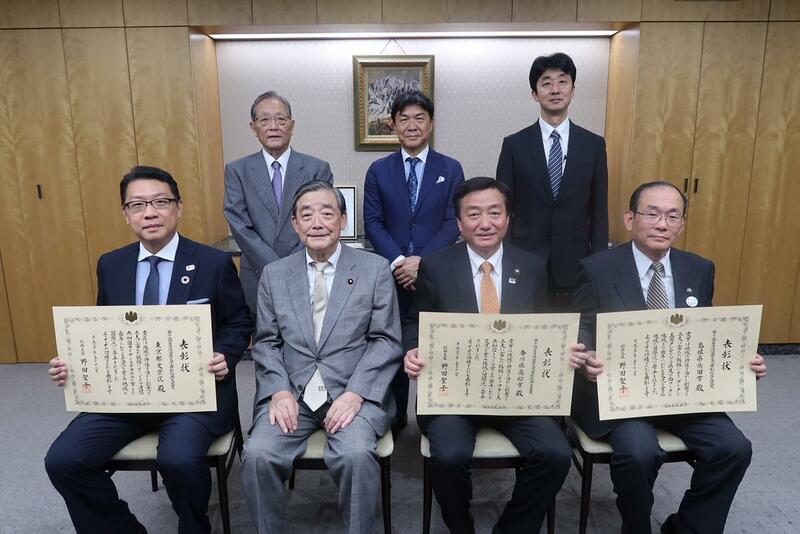 The winners of the Ministers Award in 2017 were Bunkyo City (Tokyo Metropolis), Hamada City (Shimane Prefecture), and Takamatsu City (Kagawa Prefecture). The award ceremony took place at the Office of State Minister for Internal Affairs and Communications on 18th May 2018. *Toyone Saudi Arabia Friendship Steering Committee received the Judging Panel Encouragement Prize.